Black men with metastatic castration-resistant prostate cancer (mCRPC) may experience greater benefits from chemotherapy and hormone-targeting treatment than their white counterparts, underscoring the need to ensure equal access to care and design racially inclusive clinical trials, according to Duke University researchers who discussed findings from 2 studies at the 2018 ASCO Annual Meeting. In the Abi Race study, black men who received standard abiraterone acetate (Zytiga) plus prednisone therapy had a longer median time to PSA worsening than white participants (16.6 vs 11.5 months).2 The rates of declines in prostate-specific antigen (PSA) levels also were greater for black patients than for white participants: 82% versus 78%, respectively, for a greater than 30% decline; 74% versus 66%, greater than 50%; and 48% versus 38%, greater than 90%. The findings come at a time of continuing concern about health disparities between black and white men diagnosed with prostate cancer in the United States. The incidence rate of prostate cancer is 60% higher among black men and they are twice as likely to die from the disease as white men.3,4 Additionally, black men are typically diagnosed with prostate cancer at a later stage and have unequal access to healthcare, according to Susan Halabi, PhD, a professor of biostatistics and bioinformatics at Duke University in Durham, North Carolina, and lead author on the chemotherapy study. 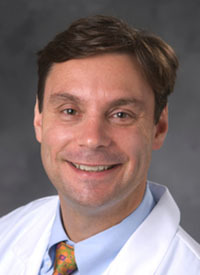 Despite these differences in outcomes on a broad population basis, the studies showed that black patients with similar disease burden can benefit as much as white men if given the same therapies, noted Daniel George, MD, a professor of medicine and surgery at Duke and lead author on the abiraterone study. “It is reassuring to us that these patients can do well when given the standard therapies at the right time. Understanding genetically if they could do even better, and why, is a critical next step,” he said. Both Halabi and George, who discussed their research during a press conference in advance of their presentations at the ASCO meeting, said the studies highlight a pressing need to enroll more minorities in clinical trials so that researchers can determine the reasons for differences in responses. “We need to do more biological and genomic studies to see if the differences are due to access to healthcare or if it is a biological difference,” said Halabi. To compare responses by race, Halabi and colleagues analyzed data from 8820 men with chemotherapy-naïve mCRPC treated with docetaxel and prednisone alone or in combination with other therapies in clinical trials. In all, 85% of the participants were white and 6% were black. The study represents the largest analysis conducted thus far that compares black and white men with advanced prostate cancer treated with chemotherapy, Halabi said in a statement. Overall, the median age of the participants was 69 years and 94% had performance status scores of 0 to 1. The median hemoglobin, PSA, and alkaline phosphatase (ALP) levels were 12.9 g/dL, 86 ng/mL, and 139 U/L, respectively. Seventy-two percent had bone disease with or without lymph nodes, 9% each had lung disease or liver disease, and 7% had lymph node–only involvement. Investigators sought to examine the hypothesis that black men with advanced and lethal prostate cancer would have worse survival outcomes than white men, she said. Instead, they found that median OS for both black and white men was 21 months. When researchers adjusted for prognostic factors such as patient age, performance status, site of metastasis, PSA level, ALP, and hemoglobin, they found that black men were less likely to die from any cause (HR, 0.81; P = .004).